The Department of Licensing (DOL) is starting to use a facial recognition matching system as part of our ongoing efforts to prevent individuals from obtaining multiple driver licenses or ID cards or attempting to obtain a license or ID in the name of another Washington resident. DOL is committed to doing everything we can to protect the identities of Washington residents. DOL has used facial recognition as part of the Enhanced Driver License program since 2008 and in our regular driver license and ID card processes during the pilot program from November 2009 through June 2011. 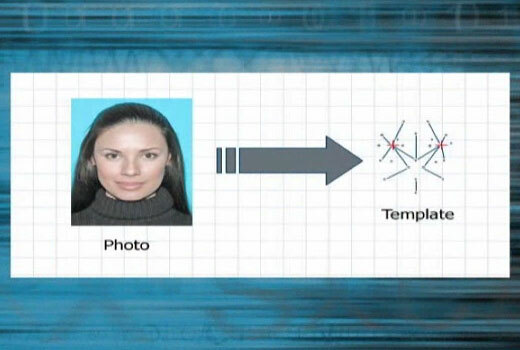 Using your regular driver license or ID card photo, the system uses sophisticated mathematics to create a digital template of facial features that aren’t easy to alter, such as eye sockets, cheekbones and sides of the mouth. Before a new license is issued, the system compares the template it creates to with all of the templates already in our database to determine if someone is attempting to apply for a license using a name other than their own. When potential conflicts are detected, the system flags them for review by specially trained DOL staff. DOL’s facial recognition system is designed to be an accurate, non-obtrusive fraud detection tool. When staff investigators confirm an individual may have more than one identity in our system, DOL offers the individual an opportunity to explain. A hearing is offered before any administrative action to suspend or cancel a license or ID card is taken. We do not share the use of the system with law enforcement or the other agencies without a court order and do not release facial recognition system results. However, when our efforts find probable fraud or identity theft we inform appropriate partner agencies who can investigate for identity-based crime or entitlement fraud.